A traffic ticket can ruin your day and devastate your wallet. Never be caught off guard again! Radar detectors help drivers stay completely aware of traffic cameras and speed traps, especially at night or on unfamiliar roads. Radar detectors also help drivers avoid roads that are congested or closed due to accidents, unsafe conditions, or police activity. Avoid high fines and be more aware of your surroundings as you travel by stopping by Capital Customs, conveniently located in Albany. We can help you learn more about getting a radar system installed in your car or truck. Radar systems vary in terms of type, cost, and features, so it’s important to compare and contrast the available models. 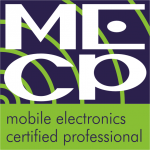 Leave it to the mobile electronics specialists at Capital Customs to help you clarify the differences and ensure the best value for your vehicle. Whether you’re interested in the radar detector with the best long-range sensitivity or a radar system with the most accessible controls, we can help you find the perfect product. We also offer solutions for laser protection. At Capital Customs, we’re committed to ensuring our customers get only the top radar detectors on the market. So, on top of our great installation work, we only install cutting-edge products from the industry’s leading brands. After you have Capital Customs integrate a radar detector in your vehicle, you’ll be right where you want to be—safely under the radar. The installation of a fully integrated radar detector means that work will need to be performed on both the interior and exterior of your vehicle. The team at Capital Customs will ensure that the work is done correctly and that your new radar detector system fits seamlessly into your vehicle’s console. Our mobile electronics installers are highly experienced in the installation of all radar detector components. This means you will not have to worry about drilling holes incorrectly and causing damage to your vehicle, or about how to properly reinstall a faceplate—leave all that up to our professionals! We’ll make sure your installation produces a sleek look on the inside, and that your outer installation is performed in a protected, discreet location. We will expertly weave the wires from the radar system’s respective mounting places and connect the components to the power source, bringing you results that look and perform their best. Radar detectors require specific positioning in order to be effective, as radar signals cannot penetrate metal and need to be level in order to pick up the signals they were designed to detect. So, don’t risk improper radar detector installation that will void your warranty or compromise your safety. Instead, call Capital Customs! Our knowledgeable installers will have just the solution for your vehicle, and will be able to handle any vehicle/radar detector combination. Join other informed drivers, and let our expert installers equip your vehicle with a state-of-the-art radar detector. Call, email, or visit us today!